Nothing is more grieving than loving someone bent on destruction. Feeling powerless can drive us to insane levels of trying to save our loved ones from the consequences of their poor choices by fixing, managing, and trying to change and control their lives. 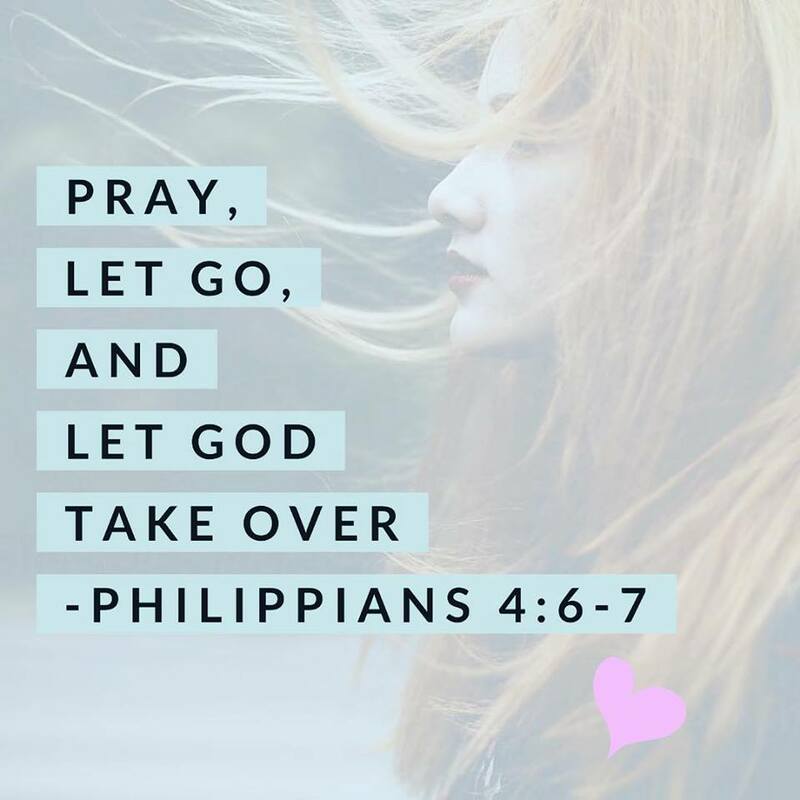 Our greatness act of love must be to pray, let go and surrender them to God. When we get out of the way, our loved ones stop looking to us to be their savior and turn to their true Savior Jesus Christ who has the power to heal, restore, redeem and set free. Releasing you is not to stop loving you but loving you enough to stop leaning on you. Releasing is not to turn away from you, but it is to turn to Christ trusting His will over you. Releasing is not to stop believing in you, but it is to believe the Lord alone will build character in you. To let go means to get out of the way, release our loved ones at the foot of the cross and offer them up to the care of God. People even in the church can behave in very unloving and ungodly ways. 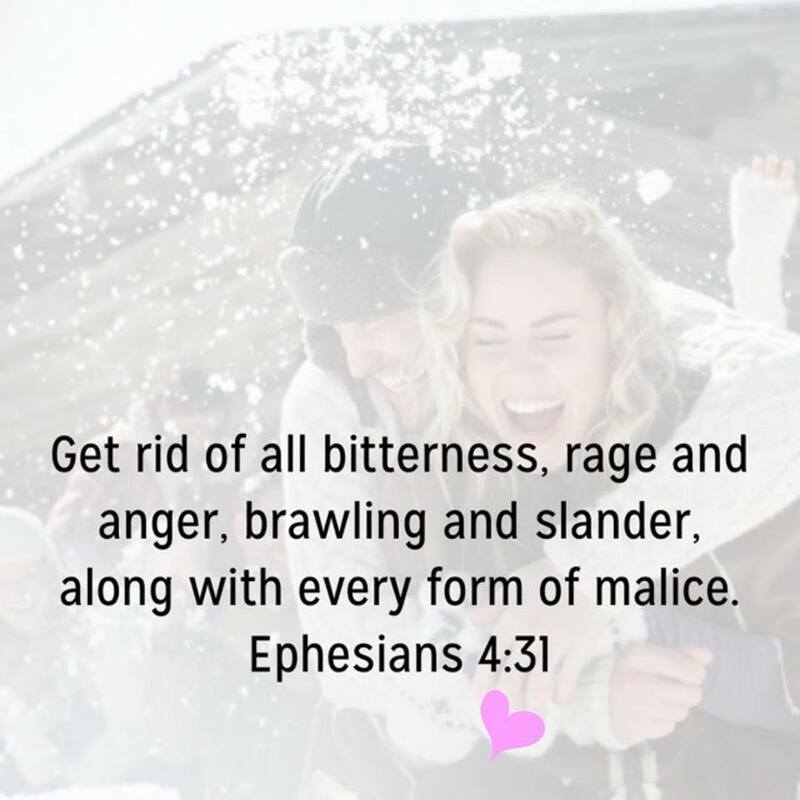 They can act out in pride and holier than thou attitudes or lash out in anger, addictions, slander and malice towards others grieving the Holy Spirit in whom we were sealed. It’s easier to judge the sinful attitudes and behaviors on the surface without taking a step back and gain God’s perspective on the matter. But doesn’t Scripture tell us that God judges the heart and not the outward? People don’t wake one morning with a hardened heart. What could have happened to an individual who acts out so negatively, rudely and hurts self and others? What kind of hurts are they carrying around inside? Please understand that whatever hurts are buried deep inside a hardened heart does not excuse the sinful behavior. God hates sin, and we are allowed to hate it too. Nevertheless, by peering into the heart of God and seeing things through His eyes, it will help us understand the reasons why people act out and will help us gain compassion and not personalize the sinful behaviors of others. Painful wounds in our hearts can always be traced back to the effects of sin, whether our own or someone else’s. Disguising pain with either good or bad habits, or addictions create a vicious cycle of guilt and shame. Whatever the coping mechanism, until the root of the hurt is dealt with the wound will continue to fester allowing sinful negative behaviors to continue. 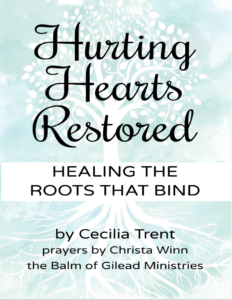 God wants to heal your broken heart. No matter what you have been through, God is bigger than anything you have experienced or are experiencing now. No matter where you’ve been, what you have done or what has been done to you … the Master Healer, Jehovah Rapha, can transform your innermost hurts into conduits of His blessings. The same power that raised Jesus from the dead can heal and restore you. 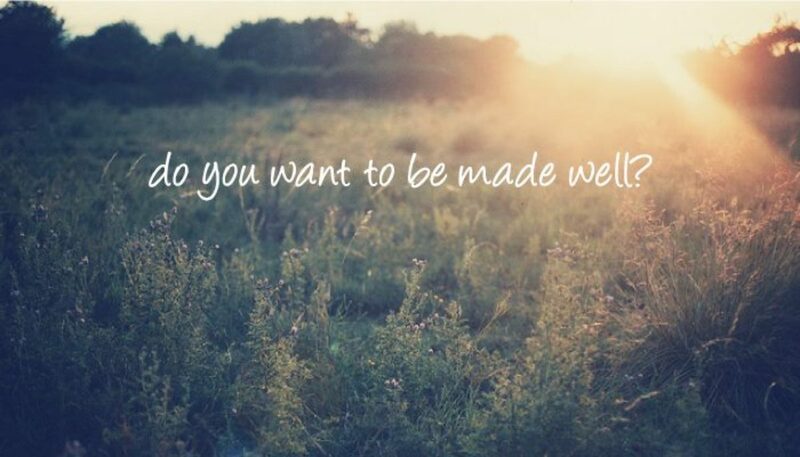 He only asks one thing…”Do you want to be made well?” Healing is a choice. Ho Do I Let Go of the Past? Guess What?! We’ve Got NEWS! Food. Weight. Health. THE STRUGGLE.